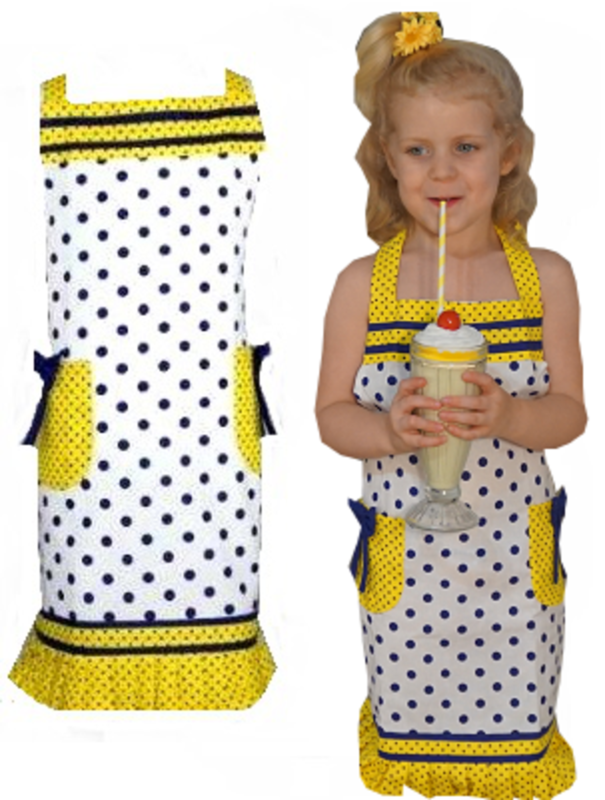 Our Lorraline range includes this adorable Kids Apron which has been designed with a love for Navy Polka Dots and Bright Canary Yellow. This Girls Apron features double trimming on the neckline, 2 pockets with 2 cute bows and a ruffled frilly hemline with double trimming. The apron ties at the neck and waist. 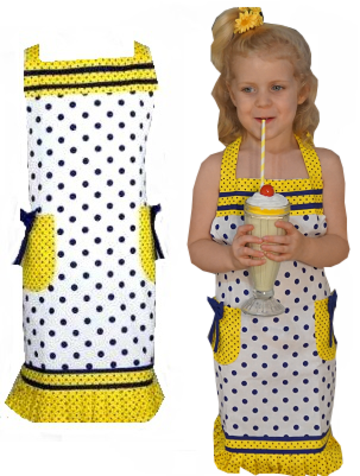 As a general guide our Kids Aprons are designed for 3-10 years olds. A matching Apron for Mum or Nana is available in this range too. Measures approximately 45 x 56 cms (for the body of the Apron).